Hair is the mirror of your health. A person in the pink of health will definitely sport a shiny mane whereas a person suffering from poor health will have to bear with brittle, dry and dull hair. Any nutritional deficiency is bound to reflect in your hair. Long illness and poor health show up in your tresses. A diet lacking in protein and iron also results in poor growth of hair. It leads to thinning of hair follicles. Many dietary measures can be taken to improve your general health and the appearance of your hair. If the hair loss is extensive and the alternative measures don’t work out, the last resort lies in opting for Hair Transplant. This form of treatment has gained a lot of popularity in recent years although it has been around for decades. Many celebrities have revived their youthful and full-haired looks after opting for Hair Transplant Surgery. 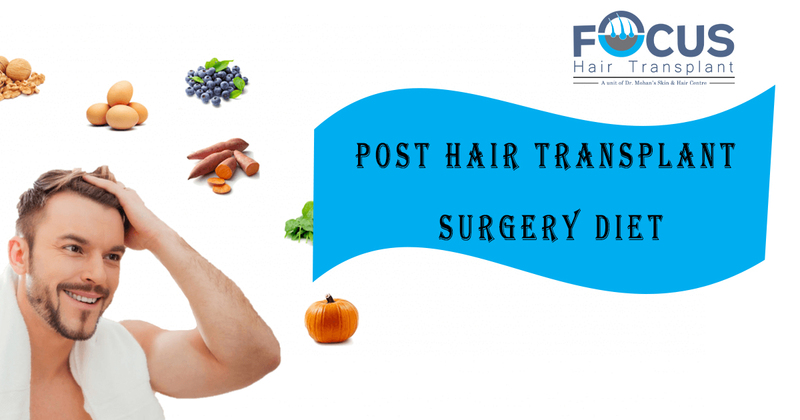 For now, we mean to discuss the dietary changes which one should undertake after the hair transplant to replenish their dwindling hair quantity and quality. A diet rich in eggs,milk, and protein will ensure supply of essential amino acids. Gorge on nuts and seeds. Indulge in cheese and beans. Cheese is a good source of protein.It must be remembered that any change in the diet will reflect after a period of 6 months. As hair structure mainly consists of protein, hair requires a lot of protein for its abundance and quality. Diet rich in fatty acids should also be taken to ensure that your hair reflects luster.Fishes are a good source of Omega 3 fatty acids. Include salmon and mackerel in your daily intake. If you are a vegetarian, you can obtain the same by eating flax-seed, walnuts and avocado. Brown Rice, spinach and lettuce , almond and whole grain pasta will provide the requisite amount of vitamins in your diet. A diet rich in vitamins will work wonders for your hair. So make a beeline for black beans, lettuce, peppers, and zucchini. Almonds will please your taste buds and enrich your vitamin content as well. In addition to the recommended diet, it is important to test you refrain from some indulgences as well. It is highly recommended that you stay away from alcohol and smoking to revive the chances of your hair growing back in full amount. Stress is also a major factor which triggers hair fall. Try to stay away from stress by giving some time to yourself. Indulge in your favorite pastime, hang out with people who you like or simply meditate to keep the stress level down. It will do good to your body,soul, and hair.